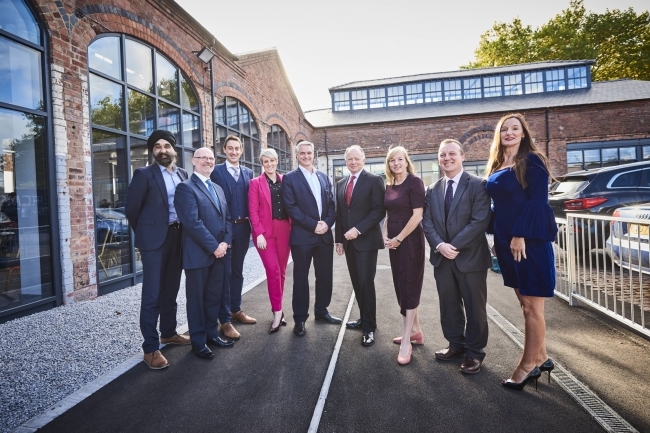 The new £12.5 million Black Country Elite Centre for Manufacturing Skills (ECMS) has officially been launched by journalist and television presenter, Steph McGovern, marking a significant investment in the future of high-value manufacturing in the region. ECMS is a collaboration between the Black Country Local Enterprise Partnership, University of Wolverhampton, Dudley College, Cast Metals Federation, Confederation of British Metalforming, Institute of Cast Metals Engineers and In-Comm Training. Based on a Hub and Spoke model, dedicated training centres are now fully operational across the Black Country in collaboration with training providers and professional industry bodies to both upskill employees and train new apprentices in metal forming skills. The ECMS Hub, based at the University of Wolverhampton’s £100 million regeneration project at the former Springfield Brewery, is an employer-led training facility for the Black Country which has been designed to build on the region’s renowned industrial heritage by providing specialist training, short courses and apprenticeships to upskill the current and future workforce, helping to close skills gaps identified by employers. The ECMS Spokes comprise a new National Press and Tooling Centre designed and developed by the Confederation of British Metalforming and In Comm Training, located at the In-Comm Training Academy based in Aldridge, focusing on the delivery of toolmaking apprenticeships and technical courses. The Spoke at Dudley College focuses on advance welding training and the Spoke based in Tipton, designed and developed by the Cast Metals Federation and the Institute of Cast Metals Engineers, has advanced moulding and melting facilities which will be used to deliver foundry training at all levels. 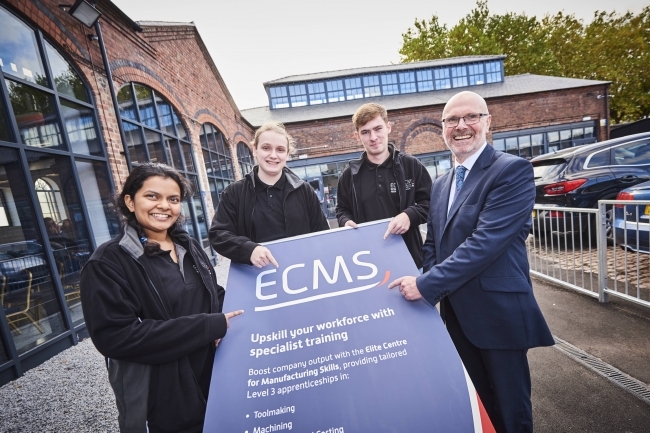 Ian Fitzpatrick, Chief Executive at the ECMS, said: “This is a key strategic project for the Black Country which links further education and higher education with local, regional and national employers. “It’s well known that the manufacturing industry has an ageing workforce and that bespoke training courses -specifically matching industry requirements – can be difficult to source. “We have listened carefully to what industry needs, and together with our partners, we have designed manufacturing facilities equipped with world class equipment and where world class training will be delivered by some of the finest technical experts in the business. Ninder Johal, Black Country LEP Board Member added: “We are delighted to have worked with partners from the University and training providers to manufacturers and employers to ensure that this new state of the art facility will deliver provision that doesn’t currently exist in the Black Country. Apprentices learn on the job at one of the ECMS’s training Hub or Spokes equipped with new training rooms, metallurgy and metrology labs with access to partner training centres and state-of-the-art engineering facilities. All apprenticeships meet the New Apprenticeship Standards with a variety of delivery models available. Courses have been developed, with employer input, in casting, toolmaking, patternmaking, metalforming and foundry training, as well as mechatronics, product design and development and advanced computer numerical control. The Black Country Local Enterprise Partnership approved £8.5 million for the project and the partners have invested £4 million. 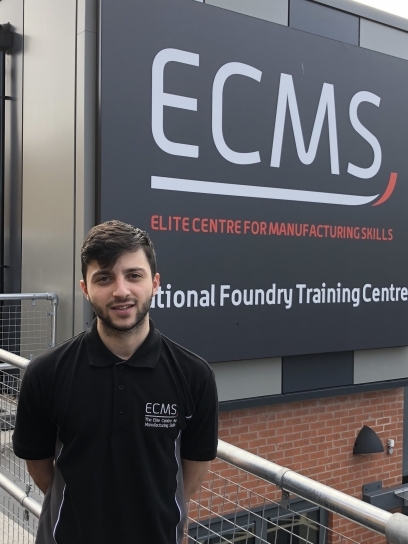 Elias Costas, 20, from Wolverhampton is one of the apprentices studying at the Elite Centre for Manufacturing Skills. After studying at Dudley College, gaining Level 1 City & Guilds and BTEC qualifications in Engineering, he wasn’t sure what he wanted to do and, following family advice, he started to look for a job that matched his qualifications. He secured a job at the Phoenix Pattern and Tool Company based in Heathtown, Wolverhampton. The business revolves around the manufacture of models and tooling in various materials to service industry. Elias said: “I’ve been employed for a year with Phoenix and I’m really using the skills I’m learning on my apprenticeship course – especially machining and CAD software. It’s a really good starting point for my career progression. “The great thing about an apprenticeship is that it offers skills. I have the qualifications, but what I need is a good range of on-the-job skills.